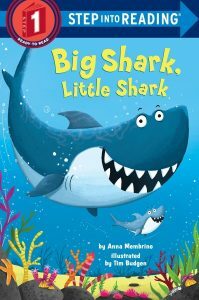 A summer heads our way, it is time for some fabulous shark crafts for preschoolers. These would make great additions to any Shark Week lesson plans . I was talking to a local mum about all the DIY Mermaid Crafts Pip Squeak and I were making and she asked “do you have any shark crafts? my 5yrs old would LOVE to do some”. 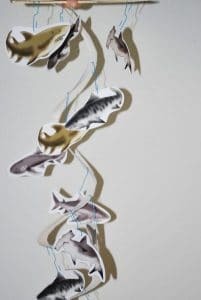 I had to admit that I didn’t have many Shark Crafts at all (I do have some.. see below!). 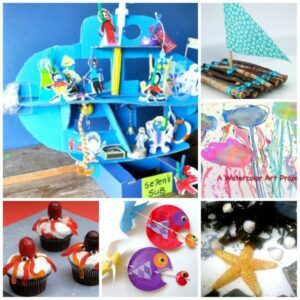 I promised her to bring together a collection of the best Shark Crafts for Kids for her and boy!!!! 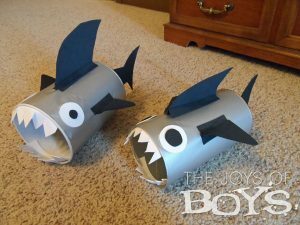 Sharks make a great Crafts for Boys theme.. however there are plenty of girls who will love this too! 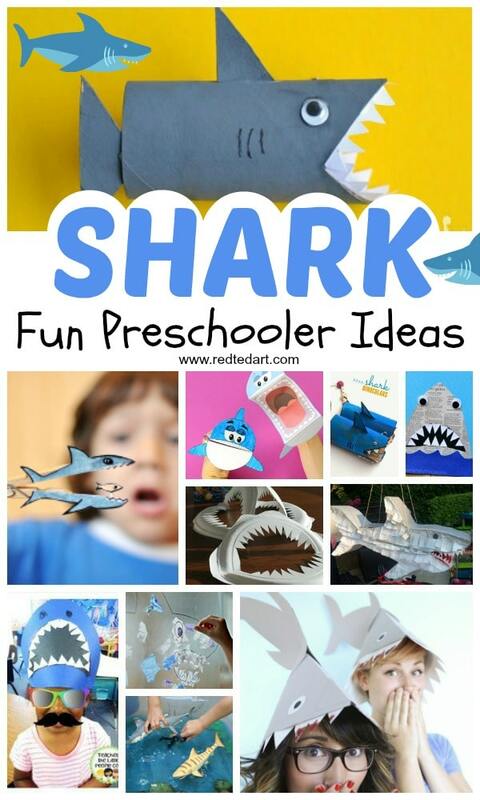 Now this is officially titled Shark Craft Ideas for Preschool.. but there are is a wider mix of ideas.. 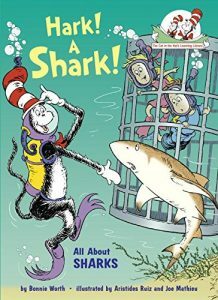 Especially since you can do many projects collaboratively and you may also want to do these as Shark Crafts for First Grade (KS1) and up. 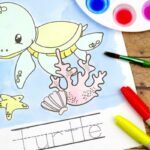 Where possible I have included Shark Craft Templates or Shark Craft Printable Ideas (you know how we love a Free Printable!) as I know many of you appreciate these! 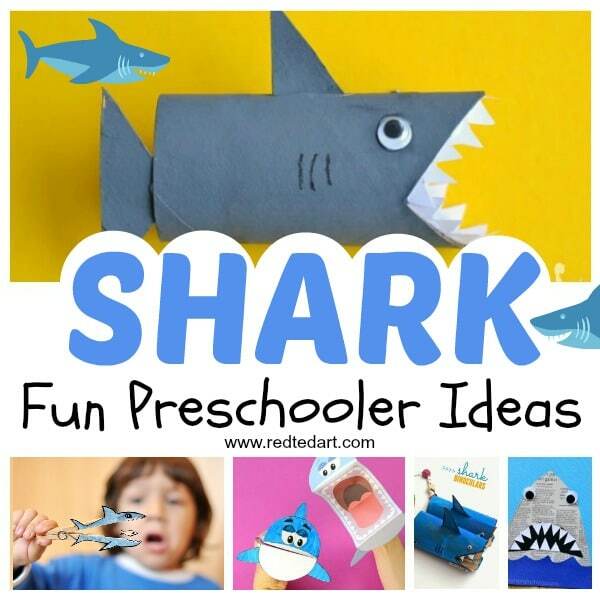 How we love some Preschool Shark Activities!! 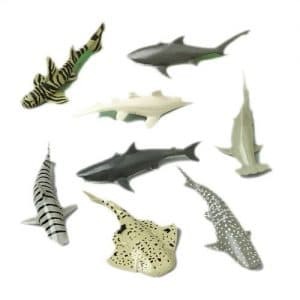 Hope you love this collection of easy shark crafts!! 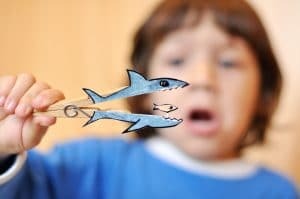 Rest assured that all the shark crafts today are non scary shark crafts for kids to make and enjoy! When is Shark Week 2018? 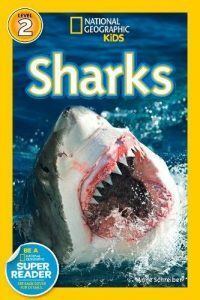 Shark week 2018 starts on 22 July 2018! You are welcome! Find out more about Shark Week over on Wikipedia. 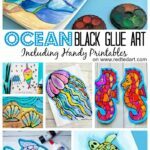 I hope you will enjoy all the Shark Week Crafts shared below. We have all sorts of fabuluos shark crafts for kids – from Paper Plate Shark Craft template designs to shark hat craft ideas and clothespin shark craft ideas… keep reading! 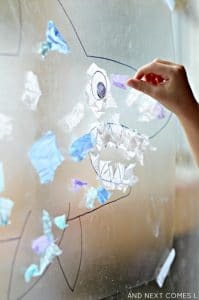 Nothing quiet like an easy shark craft to keep kids busy this summer! 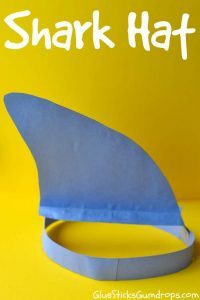 Let’s start of with some general shark diy ideas.. including lots of fabulous shark hat crafts. 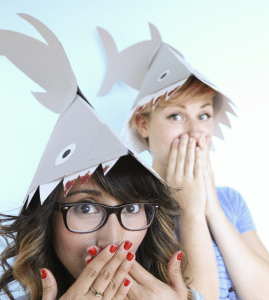 The best shark hat craft ever – visit Modcloth for easy to follow instructions! 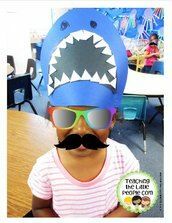 Or try these wonderful shark hats (with printable lesson plans) from Teaching Little People. So fun! 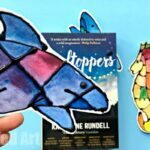 Suncatcher Shark Craft by And Next Comes L! And how about some Shark Valentine’s Boxes using recycled materials? Fun from The Joys of Boys! 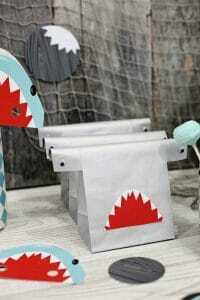 How cute and simple is this fabulous Paper Bag Sharks by Crafts on Sea? 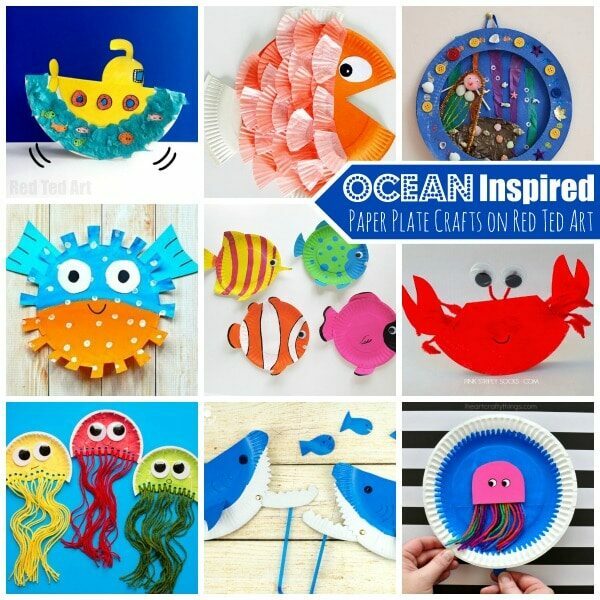 Shark loving toddlers will love this craft particularly. Quick and easy and cute. 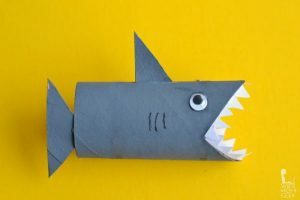 I decided to dedicate a whole section of this Preschool Shark Craft collection to Toilet Paper Rolls.. as there were some faulous Toilet Paper Sharks to share with you. 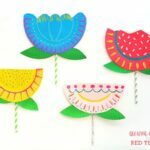 As you know, we love Toilet Paper Roll Crafts for kids, so had to share all of them! 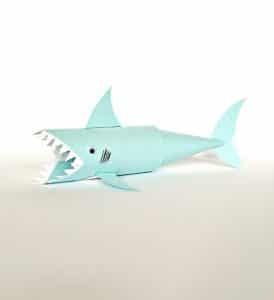 Hello Wonderful always has beautiful crafts and she doesn’t dissappoint with this Paper Roll Shark! 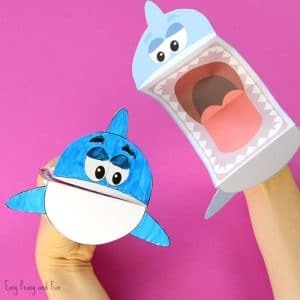 Similarly Glue Sticks & Gumdrops has a slightly simpler Toilet Paper Roll Shark craft! So cute. 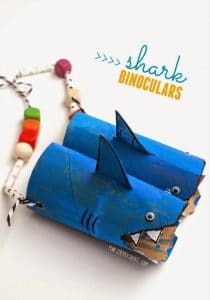 And finally Pink Stripey Socks takes the Toilet Paper Shark Craft one step further with these fantastically fun Shark Binoculars. Brilliant! 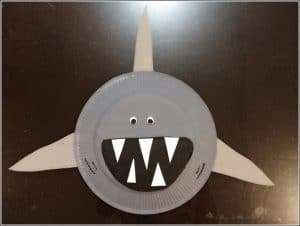 These could also go in the Shark Printables section, as not only are they wonderful Paper Plate Shark Puppets, but also come with a free shark template. Hop over to Kids Crafts Room for more! 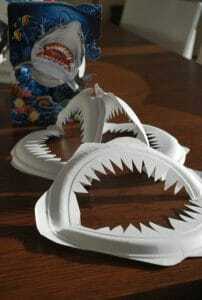 Dollar Store Crafts makes these fabulously easy Paper Plate Shark Jaws! How fun. 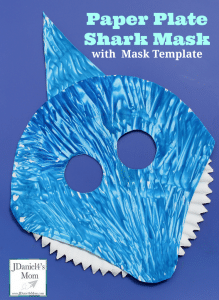 Or how about a simple Paper Plate Shark Mask? So cute!! Visit JDaniel4’s Mom for info and template! 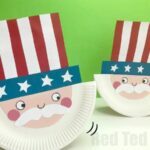 And finally we have a great Paper Plate Twirler craft – make this Paper Plate Twirler as per Dollar Store Crafts’ instructions, simple and fun! 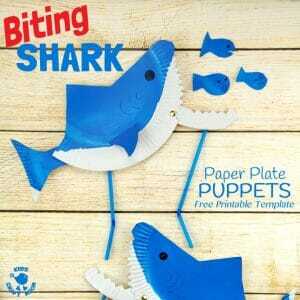 We do love “moving” Clothespin Sharks.. this one is gobbling up a little fish. Find out more over on Estefi Machado. 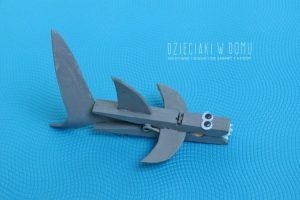 And nother super cute Clothespin Shark Craft from Dzieciakiwdomu! 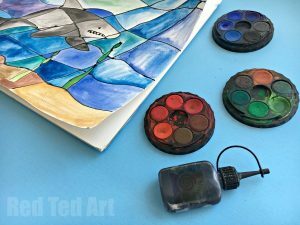 Time for a shark art project or two. 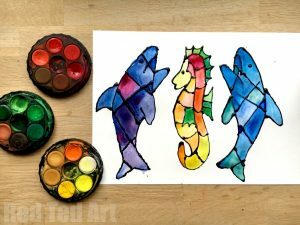 We love gettinf arty and if you are getting shark crafty, here are some more great shark crafts to add to our preschool shark activities! Of course no Shark Craft Round Up would be complete without a Newspaper Craft! 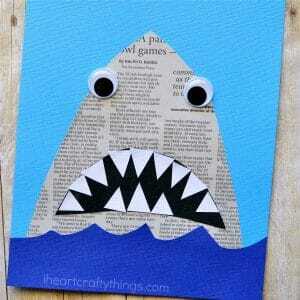 Luckily the lovely I Heart Crafty Things has these fabulously easy Shark Art Newspaper Projects! 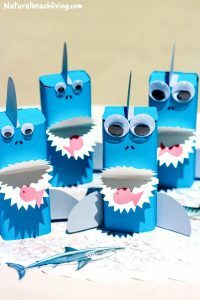 Or how about some Cupcake Liner Shark Art – again by the I Heart Crafty Things – so simple, so fun! 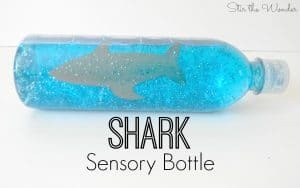 Love this fun and super simple Shark Sensory Bottle! More over on Stir The Wonder! 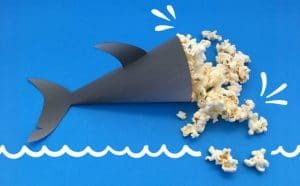 And if you have had enough play.. how about relaxing with a fab Shark Pop Corn Holder? So fun! How do sharks float? Ever wondered that? 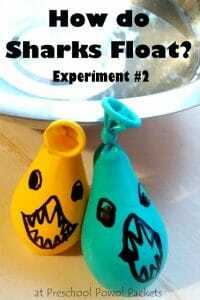 Here is a great simple experiment to do with kids demonstrating how sharks float! Visit Preschool Powol Packets for full info! 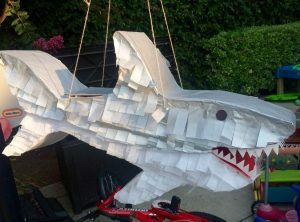 Love the clever construction of this Shark Pinata by instructables! Perfect for any shark loving birthday party!! 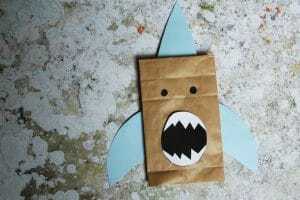 Whilst on the topic of Shark Party Ideas.. how about these Shark Favour Bags? Aren’t they fabulous?! More info over on Kara’s Party Ideas! And how about some Shark Juice Cartons? Perfect Shark Party! More info over on Natural Beach Living! 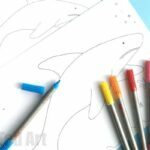 We do love easy shark crafts.. and shark templates and shark printables to make life that little bit easier! 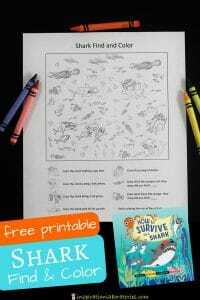 Or simply have fun with out easy Shark Coloring Pages for Preschoolers! Lovely. 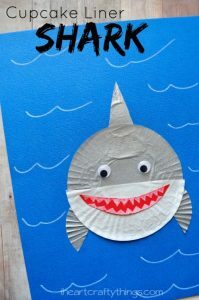 Here we have another great shark craft printable – use these fabulous Shark Puppets Printables from Easy Peasy and Fun! 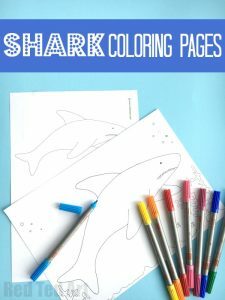 Or how about this fab “Find and Color” Shark Printable from Inspiration Laboratories? Download your shark craft template. 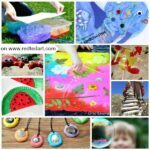 47 Summer Crafts for Preschoolers to Make this Summer!